Gary Kurtz, producer of the original Star Wars and The Empire Strikes Back, has died at the age of 78. The news was confirmed by his family. Kurtz passed away after losing his battle to cancer. His family had this to say in a statement. George Lucas is now and will forever be the name most synonymous with Star Wars. However, Gary Kurtz was equally instrumental in getting the movie made. Kurtz had worked with Lucas on his previous movie, American Graffiti, which wound up being a tremendous hit. They originally had a two-picture deal in place at Universal Pictures, who ended up passing on A New Hope because the script was not fully developed. Kurtz then negotiated a deal with 20th Century Fox to produce the movie, though, the studio famously had very little faith in the project. Kurtz assisted Lucas through various drafts of the screenplay and helped to navigate those at the studio during the famously difficult production. Kurtz and Lucas went on to establish the Star Wars Corporation together, with Kurtz being named Vice President. Following the success of the first Star Wars, which, at the time, was the highest-grossing movie ever made, Gary Kurtz set about producing a sequel that would ultimately become The Empire Strikes Back, which many still consider to be the greatest entry in the franchise. George Lucas took a backseat role to some degree and handed over directing duties to Irvin Kershner. As he had done on the previous installment, Kurtz served as the second-unit director, getting many of the necessary pick-up shots. The sequel went over budget, with Lucas having to help finance the project himself. But like its predecessor, went on to become a great success. When it came time to work on Return of the Jedi, Gary Kurtz and George Lucas began to disagree on the direction the movie should head in. This ultimately led to a split between the two, which Mark Hamill famously compared to “Mom and Dad getting a divorce.” Kurtz had this to say about it in an interview from 2010. Prior to his work on Star Wars, Gary Kurtz got his start as an assistant director on the low-budget 1966 western Ride in the Whirlwind, which starred a then-unknown Jack Nicholson. During the 60s, he served as a production manager and assistant director on several movies such as Voyage to the Prehistoric Planet and Beach Ball. Kurtz left Hollywood for several years starting in 1966 to join the Marines. He fought in the Vietnam War and continued his career in Hollywood upon returning back to the U.S. Some of his other notable credits include The Dark Crystal, Return to Oz and Slipstream, which reunited him with Mark Hamill. 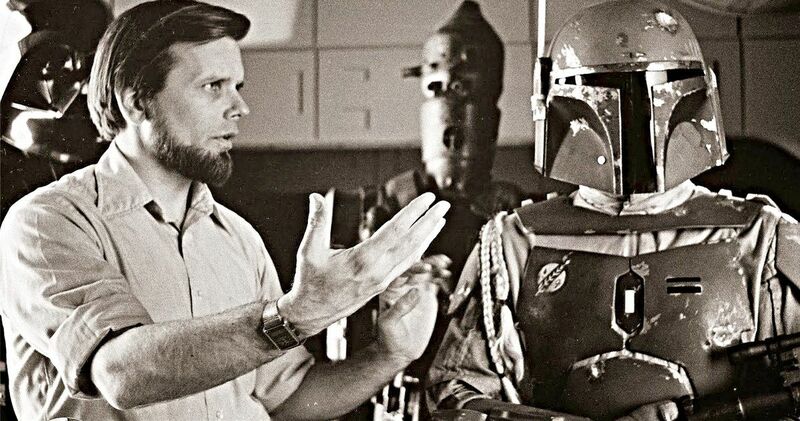 Gary Kurtz studied religion in his early years and actually helped develop the idea of The Force with George Lucas in the early stages of Star Wars, which would go on to become one of the franchise’s core defining elements. Kurtz continued to produce projects in the 2000s, including the 2007 movie 5-25-77, a coming-of-age drama inspired by Star Wars. RIP, Gary Kurtz. This news was previously reported by StarWars.com. You can check out social media tributes to the iconic producer below.